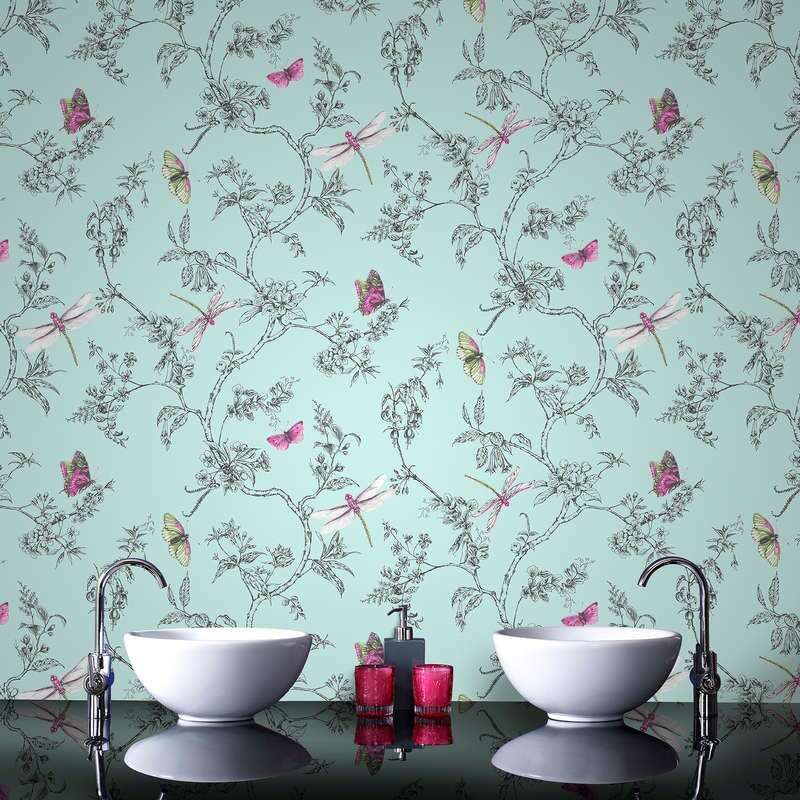 At VictoriaPlum.com, we're proud to now offer you an even wider choice of stylish solutions for your walls and floors, with the launch of our fabulous new kitchen and bathroom wallpaper collection. We've partnered with Graham & Brown, one of the UK's most experienced and trusted wallpaper brands, to supply a superb array of different designs and textures for your home. Whilst all our wallpaper is washable making it suitable for kitchens and bathrooms, don't let this restrict you. Our range of Graham & Brown wallpaper is highly versatile and can be used anywhere, including living rooms, dining rooms, bedrooms, studies and more. Most of the wallpaper we supply comes with Graham & Brown's very own Paste-the-Wall technology. Instead of having to spread your wallpaper across a cumbersome pasting table, before allowing it soak into the paper, you can now simply paste the wall, cut your paper to size and hang. The paper is easily peelable, so you can simply detach and reattach to achieve the right position for a perfect finish. Paste-the-Wall technology has been proven to cut the time it takes to wallpaper a whole room by up to half, but resulting in the same firm application and professional appearance. Grey definitely doesn't have to be dull, in fact, it is one of the most fashionable colours you can use on your interiors. 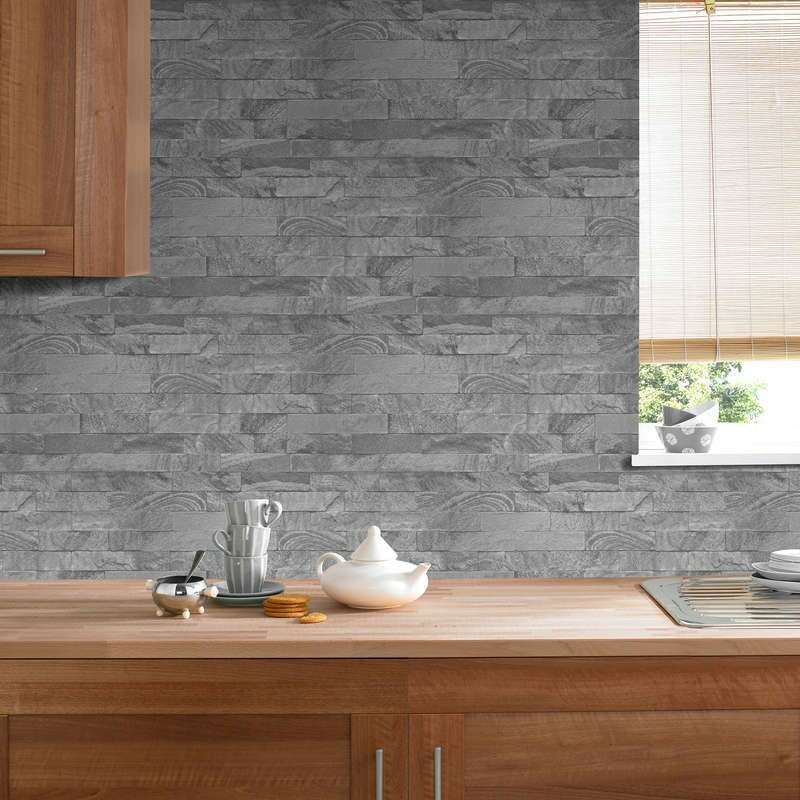 With this faux slate style wallpaper, you can add both the texture and appearance of natural stone, without going to the expense. Looking to use it in your bathroom? Why not take a look at our grey bathroom ideas for further inspiration. Let your creative imagination spread its wings and take flight with this gorgeous motif wallpaper in duck egg blue. Featuring a stunning floral and butterfly print, why not combine with more traditional furnishings for an elegant look? With a gorgeous damask design on a cream tile background, this wallpaper is ideal for creating a vintage style decor, especially in bathrooms and kitchens. Hungry for more traditional inspiration? Why not have a stroll around our traditional inspiration gallery? 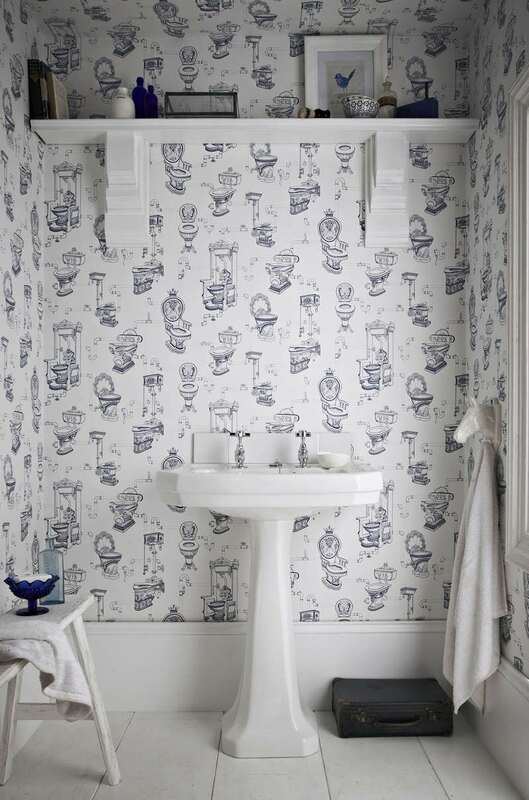 Perfect for your "littlest room", this wallpaper with its whimsical toilet motif, can be used with an eclectic mix of furniture to create a highly personalised decor. Combine with more traditional bathroom suites for a heritage-inspired look. If you're feeling a little "nautical", why not push the boat out and cover your walls with this superb nautical-inspired grey wallpaper. 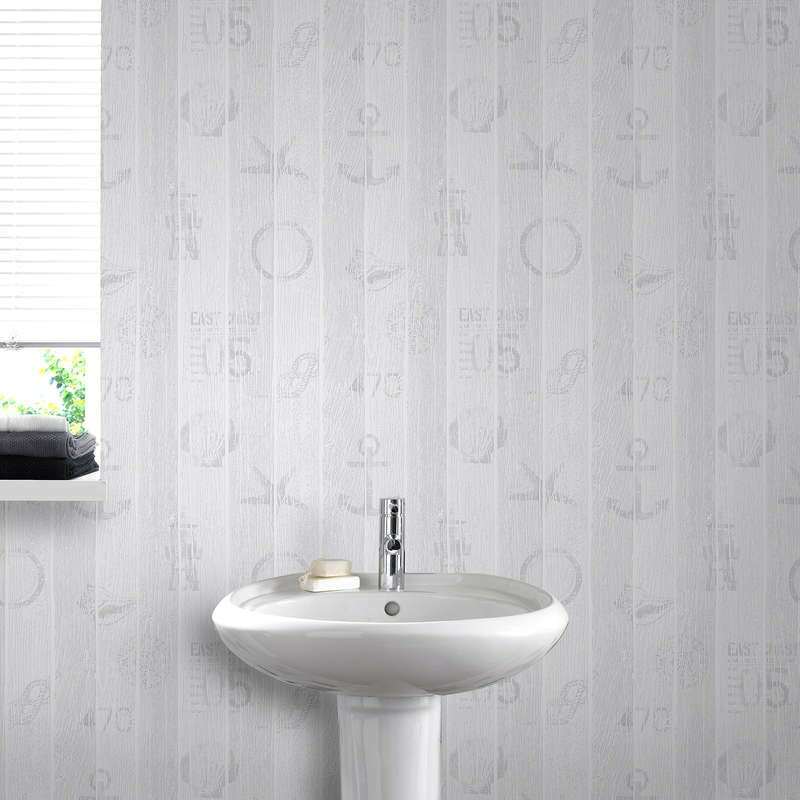 Just make sure your room decor isn't all at sea by checking out our tips on creating a nautical bathroom. 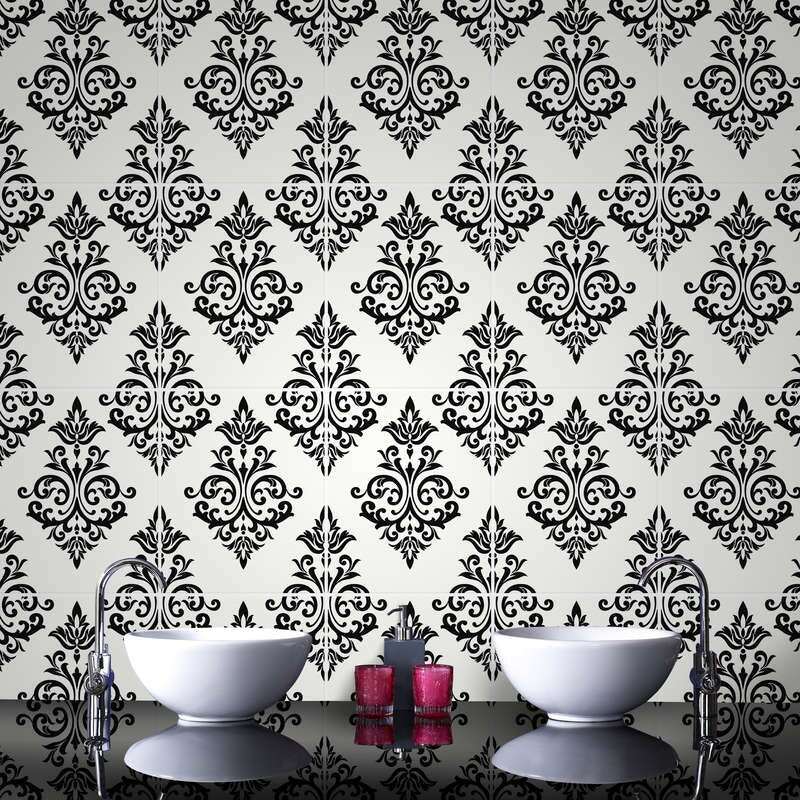 For more great ideas for your walls, why not head over to our new bathroom & kitchen wallpaper collection today? After years of using fairly unadventurous and neutral bathroom colours such as white, beige and brown, many people are now searching for inspiration in a variety of bold colours.